'In a world of one, I am alone, more alone than I have ever been in my life. Locked up in a box within a box where no one can enter and I cannot leave. I am to await my death.' In 1976, a twenty-eight-year-old mother of two and her partner were wrongfully sentenced to death by the Florida courts for the murder of two police officers. Sunny Jacobs would not taste freedom again for seventeen years, by which time her two children were estranged, her parents were dead and her beloved partner, Jesse Tafero, had been executed. Sunny spent five years on death row in solitary confinement. In a cell the width of her arm-span, her only lifeline was the stream of impassioned, life-affirming letters between herself and Jesse, offering love and strength, each echoing the other's conviction that the truth would soon be revealed. 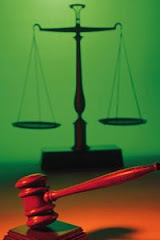 She refused to lose hope, even though the state had allowed falsified testimonies and an inconclusive polygraph test to condemn her and Jesse, disregarding hidden evidence and the true murderer's confession. Then in 1981, Sunny's sentence was reduced to life, and she revelled in the unimaginable freedom of eating in the company of other prisoners, teaching yoga and forging new relationships. Yet, Jesse remained on death row, and Sunny lived under the constant shadow of his impending execution, while grieving for her parents, killed in a plane crash, and for her loss of contact with her children. But Sunny miraculously maintained her strength of heart, and fought on to prove their innocence - until in 1992 she was finally released, seventeen years after her ordeal began. But it was two years too late for Jesse, who had died in a horrible botched execution that caused outrage the world over. 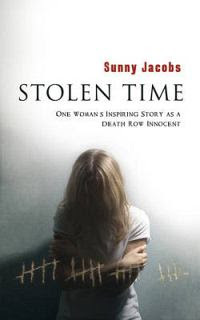 Sunny Jacobs' life has been layered with tragedy and yet her story, while delving into her darkest days, is a shining example of a woman's triumph over despair. Sunny's resilience, her unshakeable joy, and her astounding ability to forgive are beautifully depicted in this stunning and uplifting memoir. In 1976, a 28-year-old mother of two and her partner were wrongfully sentenced to death by the Florida courts for the murder of two police officers. Sunny Jacobs would not taste freedom again for 17 years, by which time her two children were estranged, her parents were dead and her partner, Jesse Tafero, had been executed. This is Sunny's memoir. First of all,until I read a book where the "innocent" person was just a normal person with normal friends and they get sent to jail by mistake I am going to keep with this opinion.This opinion is based on the saying "Lie with dogs and you will get fleas".Sunny was there in the car with the people who shot the two police officers.She had had the choice of going back home with her two children but chose to stay with her boyfriend Jesse and through this came to be in the same car with Jesse's "friends" when these two policemen were shot.This was not a teenager but a 28 year old mother of two who should have been thinking of her children's needs first and foremost instead of following the boyfriend across the country.The boyfriend who she knew dabbled in drugs and other petty crimes. While I was shocked and very interested in finding out how she got to be sentenced while still innocent,I was further motivated by trying to find out if the same thing could happen to any of us.This book does not provide that.Unless you have "friends" dabbling in petty crimes,and drugs,you are basically safe.I would really love to read a book about a totally innocent person who gets sent to jail by mistake.That would provide information on how a truly normal person can avoid the same fate. This book is quite thick and I really enjoyed reading it,also because it does ultimately have a happy ending,not the happy ending of fiction but a true loife happy ending which is no doubt still evolving as her relationship with her children gets stronger and stronger.I do wish her the very best and 17 years in jail for no reason is a very tragic waste of a life.Thank goodness she was finally freed and I think she is a much stronger person for that.I do acknowledge that no one wants to spend 17 years in jail in order to develop some strength of character.I am sure there are easier,less punishing ways to get that strength. The book would have had much more of an impact if I had completely sympathized with Sunny but unfortunately I stood in judgement most of the time.I would definitely recommend reading this book as it was really good but not for the lessons it can teach you unless you are currently fraternising with people who are constantly breaking the law. Look up Peter Pringle, Sunny's now husband. His story is one where he was just nowhere near the incident and was picked up afterwards. The police lied that he had confessed and manufactured evidence about him. He wound up on death row. Completely innocent of the charges against him. A "normal" person. Could happen to you esp. if you are a vilified minority of the community where you live.